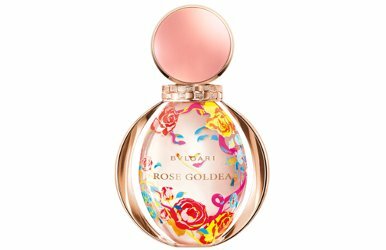 From Bvlgari, Rose Goldea in the Jacky Tsai edition: "A new Limited Edition celebrating Rose Goldea first anniversary created in collaboration with Chinese artist Jacky Tsai. A daring creativity conveying the Western Pop Art and the Eastern artistry. Diving into a unique sensual garden, an invasive nature where roses, a snake and a mysterious woman encounter one another to create an exceptional jewel of seduction." In 90 ml Eau de Parfum. From Philosophy, Amazing Grace in a bottle "inspired by hygge". $49 for 60 ml at Nordstrom. From Mugler, We Are All Alien Collector: "Alien is an ode to diversity; we are legion and our differences unite us. As they mystically intermingle by chance, 5 colors proliferate all the nuances on the Alien talisman bottle leaving a trail of delicate floral jasmine, woody and amber notes. Every bottle is unique!" In 60 ml refillable, €110 at Nocibe in France. 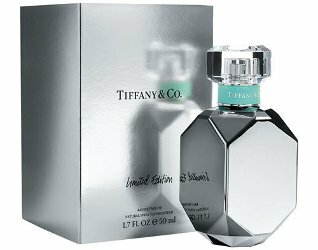 Tiffany's holiday limited edition of their signature fragrance: "Tiffany has captured the luxury, glamour and romance of New York City with its new signature scent." 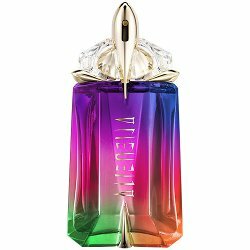 $120 for 50 ml Eau de Parfum at Bloomingdales. From Bond no. 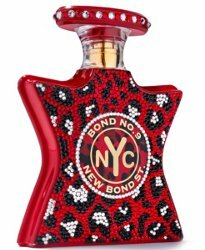 9, the Swarovski Bejeweled edition of New Bond St. $1,000 for 100 ml at Saks Fifth Avenue. I want the Alien bottle so much. If anyone sees it in the US, let me know. Right now, looks like it is on the Canada Mugler site, but not the US. This week is Muglers twenty percent off sale, I was really hoping to see it available, but I’m sure it will be the day after the sale ends???????? When I first saw that Alien bottle, I immediately thought of you lillyjo! I thought of me too!???????????? Wow! That bottle from Tiffany looks so eloquent and beautiful. Seriously, that Mugler bottle! I see it’s available on The Bay website??? ?